Michael Avenatti, the Los Angeles attorney known primarily for representing adult-film star Stormy Daniels in her lawsuits against President Trump, was arrested Monday on federal charges accusing him of bank fraud, wire fraud and extortion. A criminal complaint filed in Santa Ana alleges that Avenatti embezzled a client's money to pay his own expenses (wire fraud) and used a phony tax return to obtain millions of dollars in loans (bank fraud). A complaint filed in New York said he tried to extort millions of dollars from Nike. 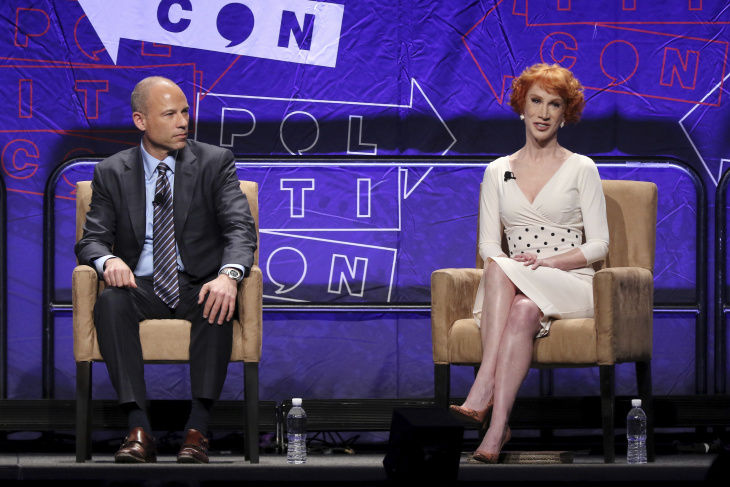 Avenatti, 48, is a resident of Century City who rose to cable-news fame during the height of the Stormy Daniels scandal, when according to an analysis by The Hill news site, he appeared on CNN 65 times and MSNBC 43 times during a two-month period in 2018. He was also a guest on "60 Minutes," the "Late Show With Stephen Colbert" and "The View," among others, where he often spoke about the moral depravity of President Trump, with whom Story Daniels said she had an affair with in 2006. Stephen Colbert opened his interview with Avenatti by saying, "Lawyers don't normally do talk shows," to which Avenatti responded "I'm not your normal lawyer." On the streets of D.C., Avenatti was seen as a kind of political rock star, according to The Hill. He even considered running for President in 2020. According to a statement from the U.S. Attorney's Office for the Central District of California released Monday, Avenatti allegedly used his client's settlement money to pay expenses for his coffee business, Global Baristas US LLC, which operated Tully's Coffee Stores in California and Washington State, as well as his own personal expenses. He allegedly negotiated a Jan. 10, 2018 date for the $1.6 million settlement payment, and then told his client the money would not arrive until March 10, 2018. When that date came and went and the client inquired where it was, Avenatti pretended that it hadn't been received yet, according to the complaint. Avenatti even "advanced" the client $130,000 between April and November while he was supposedly waiting for the delayed settlement payment, US Attorney Nick Hanna said in a press conference in L.A. Monday. Avenatti also allegedly submitted fabricated tax returns to secure three loans totalling $4.1 million for his law firm and coffee business in 2014. 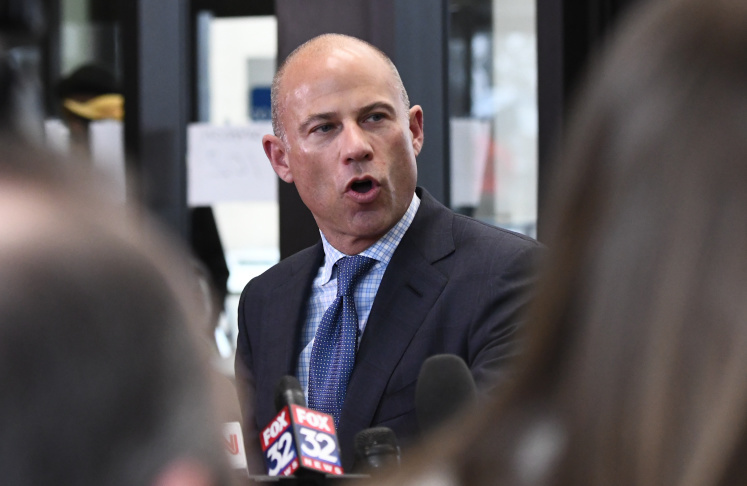 The returns stated that he had a total adjusted gross income of more than $14 million for 2011, 2012 and 2013, according to the complaint, which said Avenatti hadn't filed tax returns at all for those years. The complaint goes on to allege that Avenatti falsely stated that he had made $2.85 million in estimated tax payments in 2012 and 2013, when at the time he owed the IRS more than $850,000 in unpaid taxes, penalties and fees. If convicted on both charges filed in Southern California, Avenatti will face a maximum sentence of 50 years in federal prison. "Professionals, including attorneys, who create elaborate schemes that have no purpose other than to mislead others and defraud both their clients and federally insured financial institutions, run the very high risk of prosecution," said Special Agent in Charge Ryan Korner of IRS-Criminal Investigation. "The criminal complaint unsealed today shows a pattern of selfish behavior that paints Mr. Avenatti as a lawyer who only represents his own self interests." Avenatti is also charged separately in New York for allegedly trying to extort millions of dollars from Nike by threatening to sully the company's reputation before the NCAA men's basketball tournament, which began late last week. Avenatti allegedly threatened to hold a news conference last week on the eve of Nike's quarterly earnings call and the start of the tournament to announce allegations of misconduct by Nike employees. The attorney and a co-conspirator demanded to be paid $15 million to $25 million and an additional $1.5 million for an Avenatti client to remain silent, the complaint said. Just as the court documents were being filed, Avenatti tweeted that he would hold a news conference on Tuesday about what he called a "major high school basketball scandal perpetuated by Nike." Over the weekend, Avenatti took to Twitter to advise Democrats on how to choose a candidate who can beat Trump. Avenatti and Daniels recently parted ways. After a federal judge dismissed Daniels' lawsuit against the president and his former lawyer Michael Cohen seeking to void the non-disclosure agreement blocking her from discussing her alleged sexual relationship with Trump, Avenatti said on March 12 that he had decided to terminate the relationship. But Daniels tweeted on Monday that she had decided "more than a month ago to terminate Michael's services after discovering that he had dealt with me extremely dishonestly," adding, "there will be more announcements to come." Daniels said she is "saddened but not shocked" by the news of Avenatti's arrest. All of this comes after Avenatti was arrested in November in West L.A. on suspicion of domestic violence. Avenatti called the allegations "completely bogus" in a statement. The charges were later dropped. Avenatti was expected to make his initial court appearance for the most recent charges in New York Monday. The court dates for California have not been announced yet. And, we're really not sure what to say about Tully's Coffee at this time. Frank Stoltze contributed reporting to this story. 5:35 p.m. Michael Avenatti told reporters that he is confident he will be "fully exonerated" of federal extortion and bank and wire fraud charges, according to the AP. He was released on $300,000 bond.